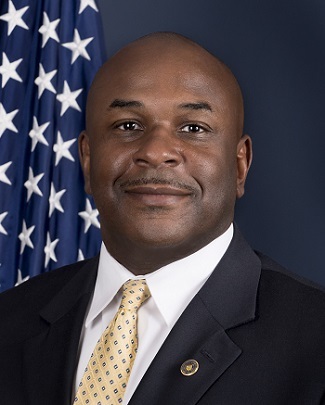 Marcus S. Watson is the Special Agent in Charge (SAC) of the Bureau of Alcohol, Tobacco, Firearms and Explosives (ATF) Nashville Field Division. SAC Watson is responsible for all ATF operations in both the States of Tennessee and Alabama. ATF is a key law enforcement agency within the United States Department of Justice. ATF's responsibilities include the investigation and prevention of federal offenses involving the unlawful use, manufacture, and possession of firearms and explosives; acts of arson and bombings; and illegal trafficking of alcohol and tobacco products. The ATF also regulates, via licensing, the sale, possession, and transportation of firearms, ammunition, and explosives in interstate commerce. Many of ATF's activities are carried out in conjunction with task forces made up of state and local law enforcement officers, such as Project Safe Neighborhoods. Prior to being appointed to this position, Mr. Watson was the Chief of the Special Operations Division in Bureau Headquarters. In this position, he assisted the Deputy Assistant Director in planning, oversight, and coordinating the special response teams, undercover operations, polygraph branch and other critical functions that support field operations. He also served as the Assistant Special Agent in Charge of the Detroit Field Division. In the preceding years, he has held a number of positions within the Bureau at ATF headquarters, including Deputy Chief-Security and Emergency Programs Division and as a Special Agent assigned to the Internal Affairs Division. In 2011, SAC Watson was selected as the Resident Agent in Charge of the Memphis Field Office. During this assignment RAC Watson was instrumental in the formulation of the Multi-Agency Gang Unit. SAC Watson began his law enforcement in 1997 with the city of Benton Harbor, Michigan as a cross-trained public safety officer, ultimately becoming the Director of Public Safety. He began his career with ATF in 2002, as a Special Agent in the Grand Rapids, MI Field Office. A native of Benton Harbor, Michigan, Mr. Watson received his B.S. Degree in Public Administration from Grand Valley State University where he was proudly initiated as a member of Kappa Alpha Psi Fraternity Incorporated.